Dr. Mathisson has been practicing in Westchester County for over 20 years. He has earned his reputation in the community as a skilled, caring, friendly and trustworthy physician and surgeon by taking excellent care of tens of thousands of patients, one patient at a time. Hospital Affiliation: White Plains Hospital, Montefiore Medical Center, and Eye Surgery Center of Westchester. Dr. Lundin was inspired to go into medicine at a young age and chose ophthalmology because her baby brother had received care for a ruptured globe from an excellent ophthalmologist. 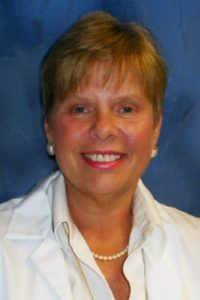 She earned her medical degree from Upstate Medical Center School of Medicine in Syracuse NY followed by an ophthalmology residency at St. Luke's Roosevelt Hospital of the Columbia School of Physicians and Surgeons in New York City. As a board-certified ophthalmologist with over two decades of experience Dr. Lundin believes strongly in treating each patient with the same respect and dignity as a member of her own family. She is devoted to providing excellent care in a comfortable friendly environment. Dr. Lundin enjoys outdoor activities such as hiking, biking, and swimming, as well as reading medical and non-medical books. She is also involved in community service, regularly feeding the needy at area homeless shelters. Call (914) 723-2020 to schedule your appointment.